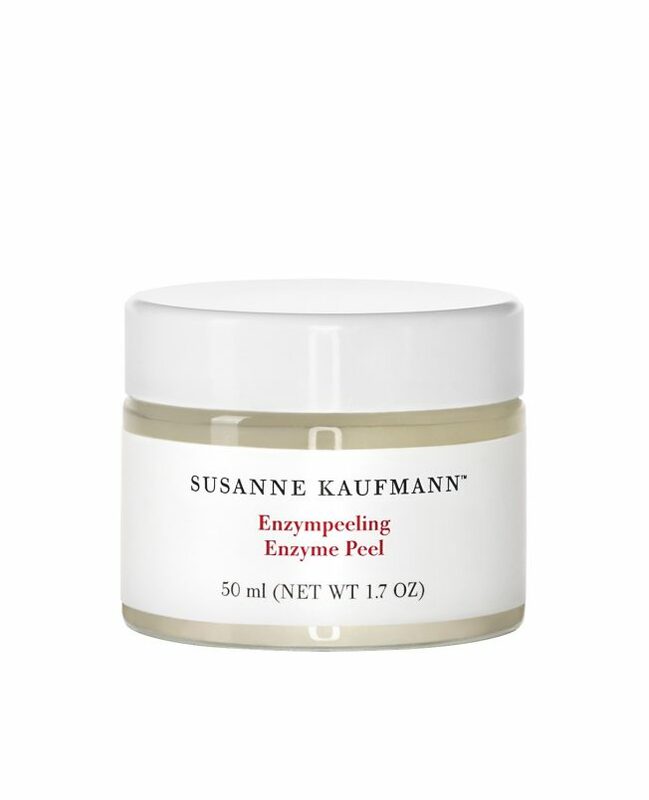 The Susanne Kaufmann enzyme peel is especially suitable for thin, sensitive skin. Mild fruit acids from kiwis, apples and papayas remove dead skin without abrasives that can stress the epidermis. Active plant ingredients calm and nourish the skin during the peeling. Application: It can be used once a week and is the ideal preparation for nourishing concentrates and masks. Apply the peel sparingly to the skin and remove with a moist cloth without rubbing after 10 minutes.